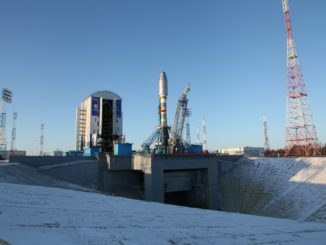 Russian officials could complete their investigation of a rocket failure Tuesday by mid-December, and multiple Russian news reports suggest the probe has narrowed to focus on the guidance computer on the Soyuz launcher’s Fregat upper stage. 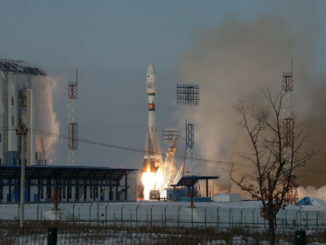 A new Russian weather observatory and the first prototype for Telesat’s planned network of 100-plus broadband communications satellites in low Earth orbit were among 19 spacecraft feared lost after a Fregat rocket stage ran into trouble soon after liftoff aboard a Soyuz booster Tuesday. 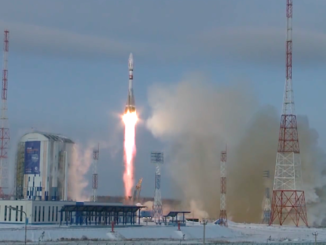 A Soyuz rocket is scheduled to lift off Tuesday from a launch pad in Russia’s Far East with a new Russian weather satellite and 18 secondary payloads from companies and institutions in the United States, Canada, Japan, Norway, Sweden and Germany.